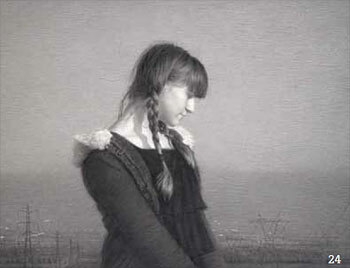 This California artist’s graphite drawing The Northern Girl wowed the judges with the fortitude of its subject and its intriguing contemporary setting. 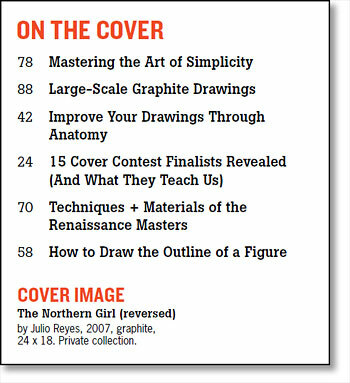 We received hundreds of entries in Drawing’s latest cover competition, and selecting our favorites was far from easy. We present the artwork from our 14 finalists, as well as discussions about their sources of inspiration, artistic processes, and drawing materials. Knowledge of the human body can be an invaluable tool for artists—as long as the study of anatomy is approached in the right way. The contour—also called the outer shape—is key to realistically drawing any figure, and it is affected by the numerous curves that exist within natural forms. In several recent workshops, Virginia artist Rob Liberace taught students tools of the Old Masters, such as red-chalk drawing and écorché. 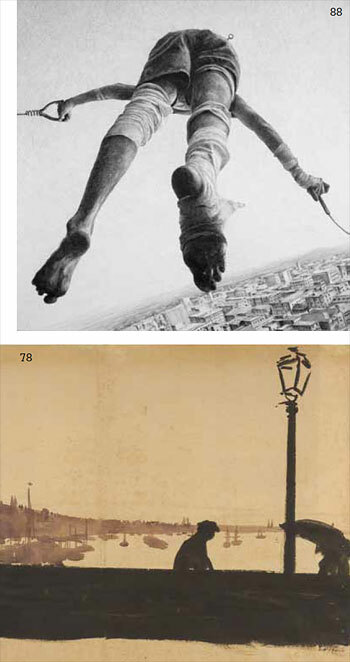 His lessons stressed the importance of identifying shadow areas, varying strokes, and expressing a personal vision. Simplicity is a strategy that artists can use in many ways to add depth and complexity to their drawings. Ethan Murrow draws characters in situations that defy reality and sound judgment in an effort to push his artistry as both fact and fiction.